You can rent a boat and make the trip on your own, or board one of the many passenger vessels plying the canal route. For a classic Göta Canal experience, travel on one of the historic canal boats operated by the Göta Canal Steamship Company. The oldest vessel still in regular service, M/S Juno, was built in 1874, followed by the M/S Wilhelm Tham in 1912 and the M/S Diana in 1931. Each has been maintained to reflect the era in which it was built, while incorporating modern conveniences. The cabins are tiny and generally furnished with bunk beds and washbasins; shared WCs and showers are available on each deck. Meals are served in the dining room on board, and there’s also a small library lounge for reading and relaxation. Weather permitting, you’ll probably spend most of your time aboard on the outdoor decks (both covered and uncovered areas are available), watching the scenery and the communities the boat passes through. One of the great joys of canal cruising is the leisurely pace of the journey. You’ll see people going about their daily lives, riding bikes along paths beside the canal, and enjoying picnics as they watch the boats pass through the locks. At Forsvik the ship may even be greeted with flowers and songs by a local group. Excursions on shore are also included. If you’ve only got a couple of days, the two-day, one-night Mini Canal Cruise through the province of Östergötland is a great way to get a taste of the Göta Canal. 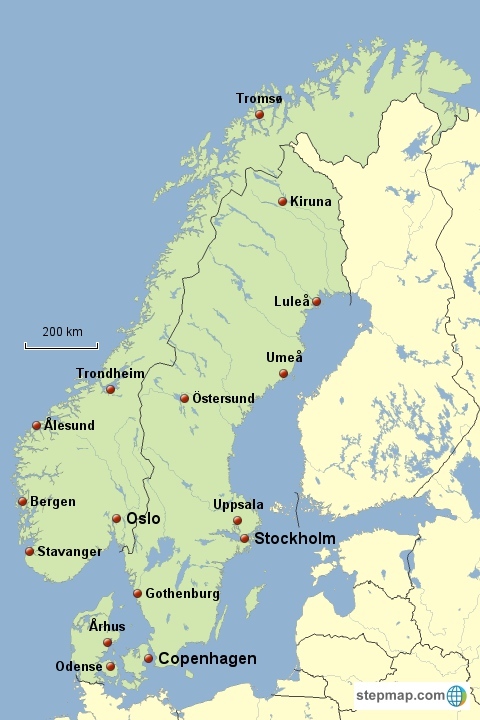 However, if you’ve got more time, you can travel all the way between Stockholm and Gothenburg on a journey that includes the Göta Canal, a crossing of Lake Vänern (Sweden’s largest lake), and the Trollhättan Canal, which connects Lake Vänern with the west coast of Sweden. Grand Sweden Cruise: The most comprehensive journey offered – six days, five nights, covering the entire Stockholm-Gothenburg route during daylight hours. The Classic Canal Cruise: Four days, three nights from Stockholm to Gothenburg or vice versa, cruising the entire way, with some night travel. 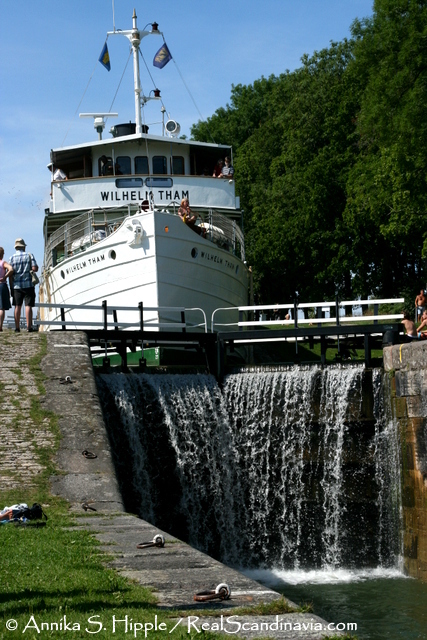 Mini Canal Cruise: A two-day cruise along the eastern sections of the canal, from Motala on Lake Vättern to Söderköping or vice versa. Göta Canal Highlights: A three-day trip offering a relaxed exploration of the most scenic sections of the canal. 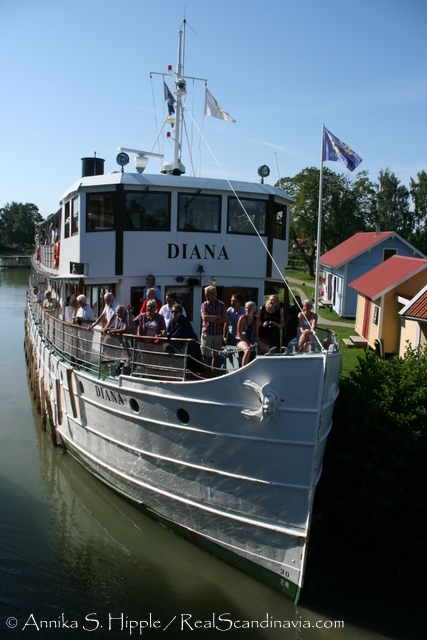 For details of the various cruise options as well as more information about the historic canal boats and the cruising experience, visit the Göta Canal Steamship Company website. Another good resource is Götakanal.se, which has abundant information about the wide range of activities available both on the canal and along its banks. could you please tell me what dates in July you depart? it would be for 2 adults and 3 children age 7/12/14 would this be possible?? Also i am a travel agent from the UK do you have an agents booking site and do you pay commission?? 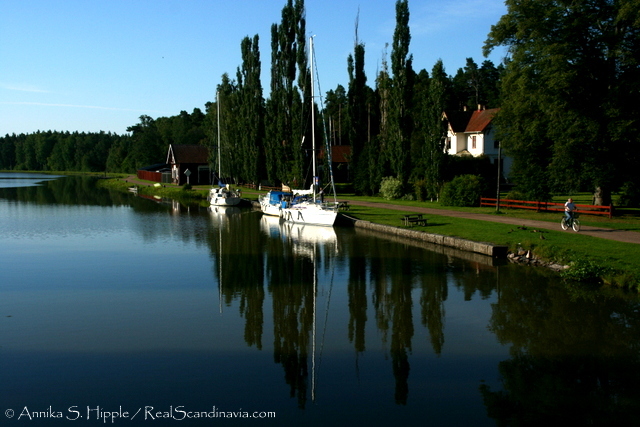 Real Scandinavia is an independent travel blog and not affiliated with the Göta Canal Steamship Company. You will need to contact them directly for information about departure dates and availability, as well as answers to your question about commission. The link to their website is at the end of the article. Please feel free to mention that you heard about the cruise through RealScandinavia.com. i am travelling with my family to sweden would be interested in the Gota canal cruise . what are the sailing dates fronm 26th april to 2nd may 2016 available for crusing. Please visit the Göta Canal Steamship Company’s website for information. There is a link at the end of the article. 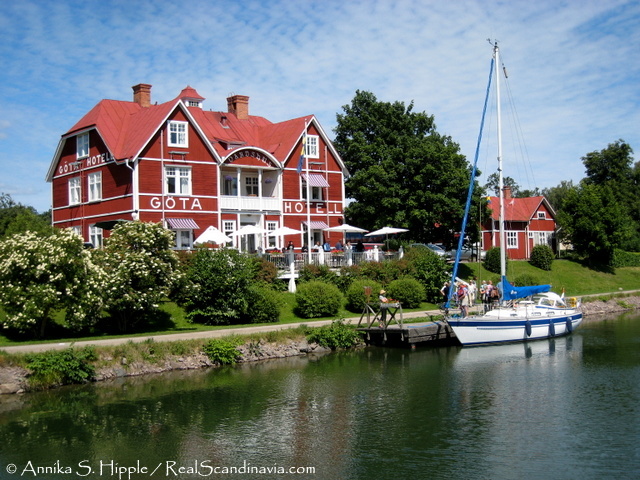 However, the Göta Canal cruises typically do not start running until the end of May.